In partnership with Nielsen Sports, the leading source of sports measurement, analytics and insights around the world, ONE Championship held the inaugural “What’s Next in Global Sports” conference from May 17 to 18 May at the Marina Bay Sands Expo & Convention Centre in Singapore. Tackling the driving factors behind Asia’s rise on the global sports stage, the event featured an esteemed list of notable guests, including two of the most prominent Olympians in history. Olympic swimmers Michael Phelps and Joseph Schooling attended the “What’s Next in Global Sports” conference, which brought together thought leaders that participated in dynamic discussions on the key technology, media and marketing trends shaping the future of the sports industry. “It’s an honor to grace this event with the who’s who of the industry. We are now living in the digital age. The sporting world is now going into that direction as well. In order to grow, we have to adapt to it. We have to innovate and be available on all these digital platforms,” he said. “Every single technological innovation in delivery of content advances sports to its potential. It benefits the athletes and the organizers. More opportunities are upon the sporting world. This is all good news for all of us,” Phelps added. Meanwhile, Schooling became an Olympic gold medalist, defeating Phelps and setting a world record for the 100-meter butterfly event at the Olympic Games in Rio de Janeiro, Brazil in 2016. Currently a final year student at the University of Texas at Austin and a prominent member of the Texas Longhorns swimming team, Schooling was recently appointed as exclusive Ambassador of ONE Championship. “Partnering with ONE Championship represents exciting times. I have always identified with the values of ONE Championship, and I think that is an important factor to any partnership,” Schooling stated. Schooling commended ONE Championship’s fruitful effort to change the landscape of sports and entertainment in Asia through martial arts. “I have always had a great time at ONE Championship’s live events. Through careful and strategic developments, ONE Championship has grown immensely in just short span of time. They are offering their unique brand of authentic martial arts action to fans all across the globe,” Schooling shared. The Asian region has come under the rule of ONE Championship in the span of nearly seven years and over 60 blockbuster events. When Chairman and CEO Chatri Sityodtong came up with the idea for ONE Championship, he envisioned the entire Asia comprised of over 4-billion people united under a single sport. 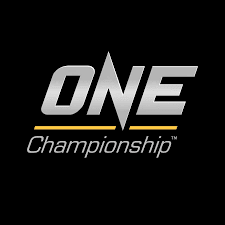 ONE Championship has achieved tremendous success since its inception in 2011, establishing itself as the world’s largest martial arts organization by hosting bouts across all styles of martial arts such as Muay Thai, Kickboxing, Karate, Kung Fu, Mixed Martial Arts, Silat, Sanda, Lethwei, Tae Kwon Do, Submission Grappling, and more. Although ONE Championship has completely revolutionized the martial arts landscape internationally, Sityodtong attributes the promotion’s success by adhering to the values that made the continent of 4.4 billion people the home of some of the best known martial arts stars like Bruce Lee, Jackie Chan and Jet Li. “And the reality is since day one, ONE Championship has always been about that. We've always been about celebrating and uniting the continent with what we are best at - martial arts and their values,” Sityodtong explained further. Sityodtong often refers to the values of integrity, humility, honor, respect, courage, and discipline as the foundation of martial arts in Asia. Whereas its Western counterparts mostly focus on the competition aspect, highlighting showmanship and bravado above the core values that Sityodtong lives by, ONE Championship has chosen to focus on what resonates with its fan base. “Sports superstars have a unique impact on society. They ignite hope, inspiring fans to be all that they can be through hard work and dedication. Much like the effect Michael Jordan has had on basketball, martial arts has its own superheroes,” he stated. “ONE Championship focuses particularly on building local martial arts stars -- individuals who came from the same backyard, who experienced the same hardships and trials in everyday life as the very fans who idolize them. By concentrating on building these superheroes, ONE Championship has positioned a product that resonates with the Asian people,” Sityodtong expounded. As the setting of sports media is experiencing a rapid shift towards online and streaming services, ONE Championship has adopted a digital-first strategy to keep with the trend. Consumers continue to gravitate towards online mediums of entertainment, and ONE Championship is following suit, exploring a multitude of digital channels on which to offer its unique content. ONE Championship recently launched its mobile app as it aims to provide millions of martial arts fans around the world with access to every ONE Championship live event, as well as the complete library of digital content -- all free. All of the 11 bouts at its upcoming event in Singapore on Friday, May 18 will be streamed live and for free. “This historic event will be seen around the globe as it will be aired by the biggest television networks across Asia and the world. It will also be available for free through the ONE Super App. Witnessing a great display of martial arts action is now at your fingertips,” Sityodtong stressed. ONE: UNSTOPPABLE DREAMS is set to feature three world title clashes, including the headlining bout between reigning ONE Women’s Atomweight Champion Angela Lee and Mei Yamaguchi. The co-main event will see Muay Thai legend Sam-A Gaiyanghadao going up against Sergio Wielzen for the inaugural ONE Super Series Flyweight Muay Thai World Championship title. Meanwhile, Australia’s Martin Nguyen will be making a bid to successfully defend his featherweight crown for the very first time against Christian Lee, the younger brother of Angela Lee. Phelps, who called it a career almost two years ago and is now focusing on charity works, expressed his exuberance of being at cageside on Friday to witness the action firsthand. “I am super excited. It’s going to be a treat. I am already looking forward to it, and good luck to all athletes competing on the card this Friday,” he ended.